Senior Team Representation – Diversity shouldn’t just be in a company’s words nor just in a company’s entry level roles. Does your leadership and senior executive team reflect the type of workplace that you’re promoting with your company objectives and values? 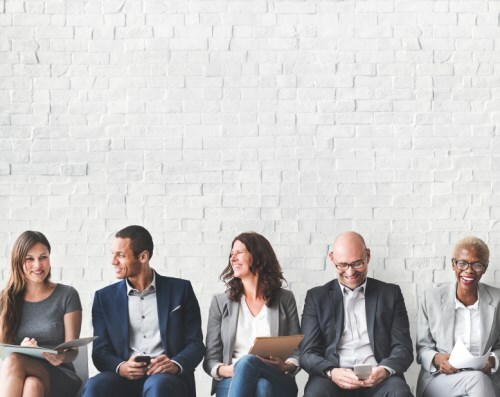 Your employees will more likely believe your commitment to your diversity goal if they see representations of various diverse populations on the senior team. By having senior management members who are part of different communities, you will be making your organization more welcoming for potential and existing staff from diverse groups. Offer Training and Workshops – A key method of having staff support a diverse workplace culture is to provide them with the tools that will allow them to understand and appreciate those from other backgrounds. Organizations that make cultural competency a priority will assure that appropriate training and education are mandatory parts of employee learning and routinely updated so it cannot be forgotten. Training should start during new staff orientation and the inclusion of respect and diversity in the performance management cycle is another key to fostering diversity as part of the organization’s culture. Create a Welcoming Workplace – Actions speak louder than words. Employees will feel supported and will believe your company’s commitment to diversity by the environment that you create for your team. Supporting cultural events and holidays, celebrating and embracing different festivities all go towards fostering a culture of inclusion. Essentially you want diversity to be part of your culture; for it to simply be a part of what you are. By doing so, you will be successful in creating a work environment that is both diverse and engaged. As the Director of Human Resources for the Toronto Central CCAC, he oversees all aspects of employee hiring and retention, as well as employee-related programs and training. A graduate of the University of Western Ontario where he received his Bachelor’s degree, Mr. Fong is also an alumnus of the University of Toronto, where he graduated with a Masters in Health Science.